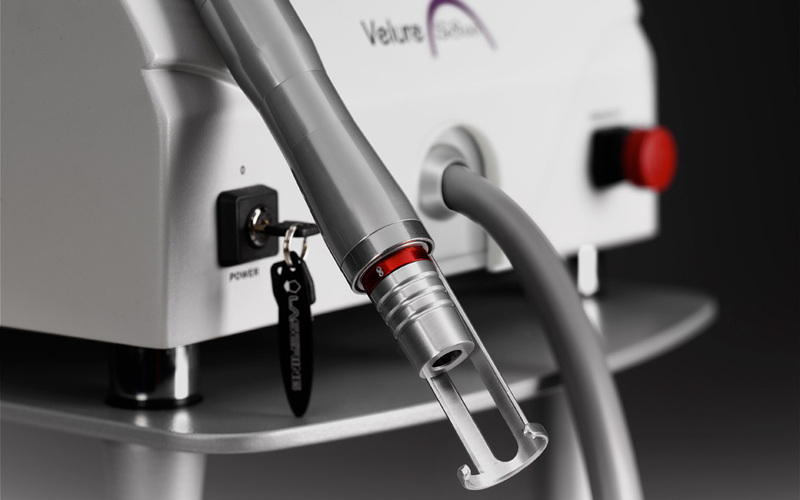 Velure S800 is at the cutting edge of technology available today to obtain the best possible results in permanent hair reduction. 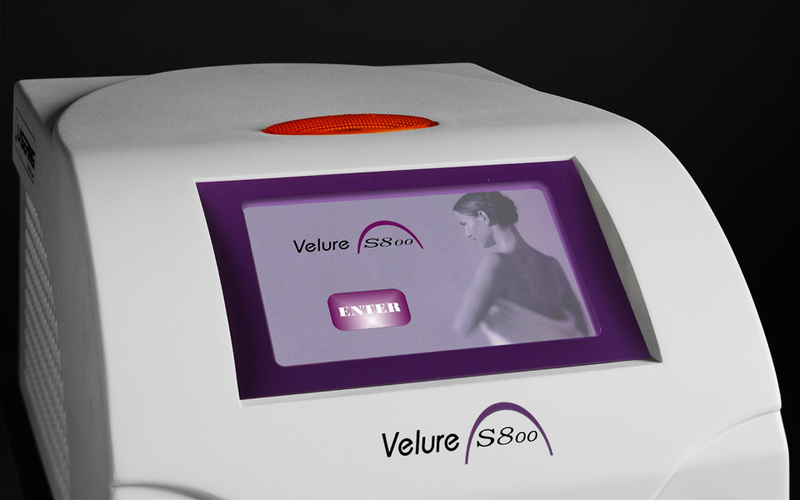 Adaptable to all types of skin, Velure S800 exploits the optimal radiation absorption by melanin chromophore to thermally damage the piliferous bulb at the same time not creating undesired depigmentation on the epidermis. 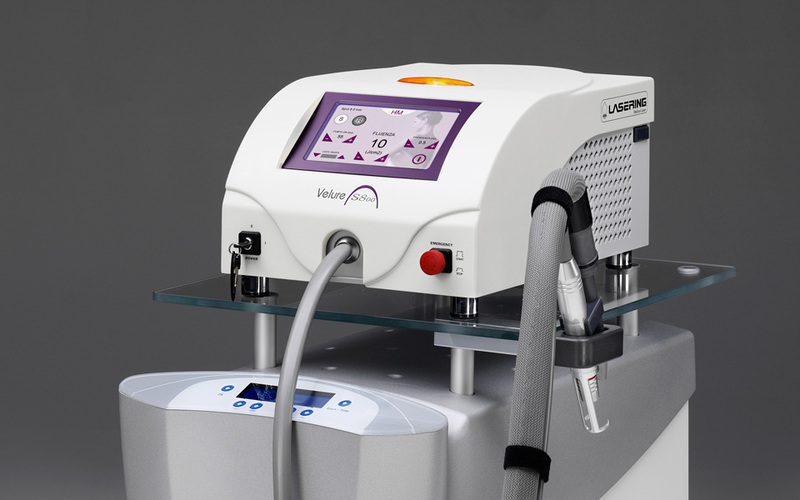 Velure S800 makes this equilibrium possible thanks to the ELP™ (Extra Long Pulse) system which allows working with long-lasting pulses and hence providing the right energy value for all types of skin without sacrificing treatment safety. 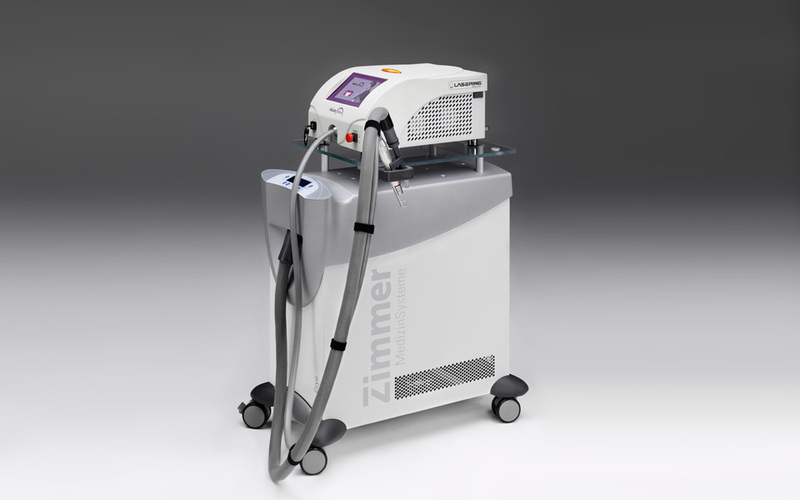 The transparency of the epidermis and at the same time the excellent absorption by haemoglobin of the laser radiation emitted by Velure S800 together with the high power of the system make transdermic photosclerosis of deep vascular lesions possible without the undesired purpura effect. 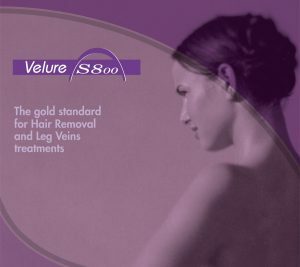 Velure S800 is hence also excellent for non-invasive treatment. 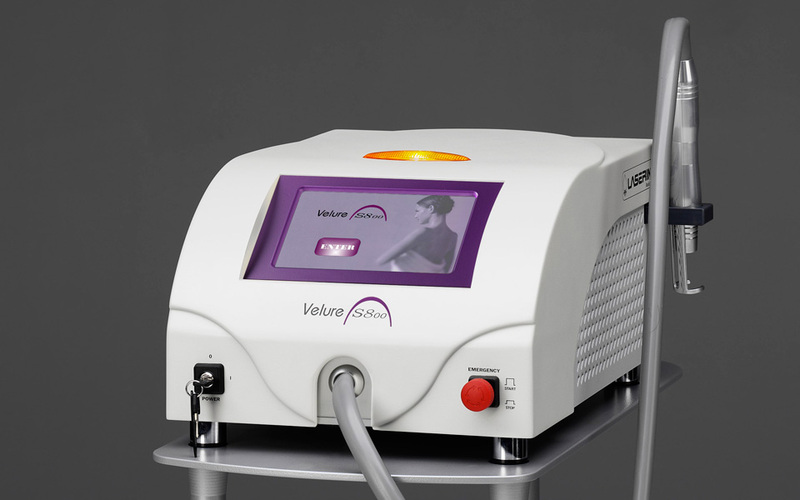 Velure S800 is a highly reliable laser for permanent hair reduction of undesired hair on all parts of the body. 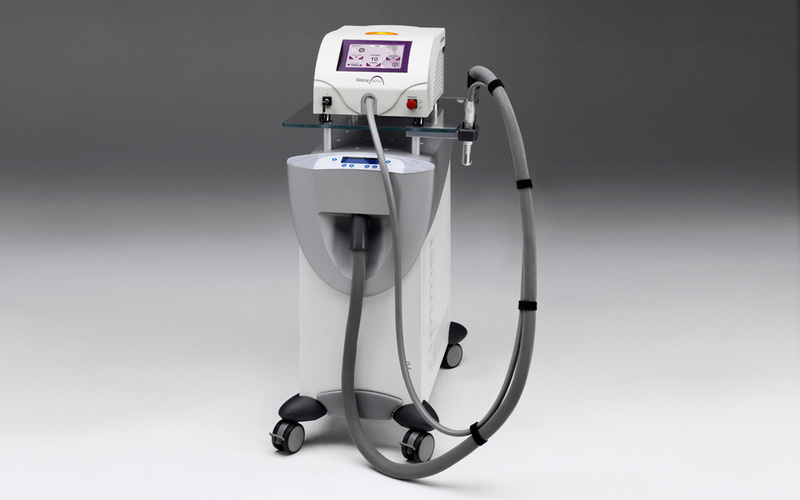 Possibility to treat all types of skin with ELP™ system. No consumables are required for the treatment. Compact and lightweight in its elegant suitcase it can comfortably be transported anywhere.